Our mission is to deliver high-impact solutions by leveraging our people, processes and expertise. 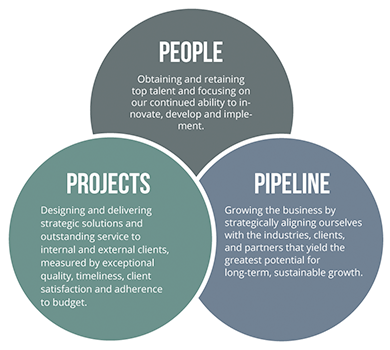 Through solution-focused dialogue, we establish trust with stakeholders and pursue mutual goals with open minds and boundless creativity to reach the highest levels of success and profitability for our clients. We offer a refreshing alternative to the cookie-cutter operations of other software development firms. In addition to a stellar group of Business Analysts, Developers and Architects, our infrastructure is anchored by an internal Project Management Office, Business Development Team and QA Department to ensure efficiency, precision and consistency at every stage of your project. Understanding the struggles and purpose of each client is at the core of everything we do. It’s what enables us to stretch beyond the transactional experience of other software development companies and build authentic partnerships. Our clients rely on us to blur boundaries, reimagine business models and discover new paths – and we deliver. Our clients rely on us to blur boundaries, reimagine business models and discover new paths – and we deliver. 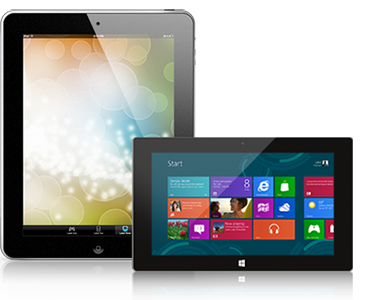 Our clients have trusted us to create custom, intuitive solutions since 2000. From the beginning, we have capitalized on our intimate understanding of disruptive technologies and recognized opportunities to ideate, innovate and invest. Our collective domain expertise is the cornerstone of our success. We believe there is value in community. We see potential and reward performance. We acknowledge challenges and sponsor development. After all, best-in-class products and services come from the inside out.